A dark felt tip marker. Tune the instrument to the pitch or tuning that will be used most. 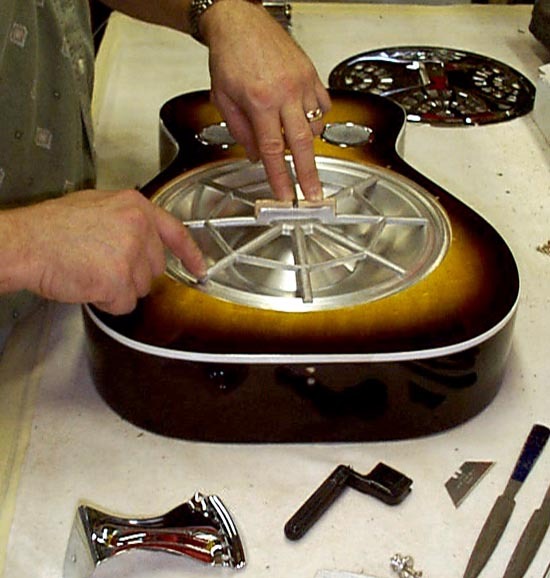 Changing tunings dramatically will affect the set up of resophonic instruments so it is best to use only one tuning or closely related tunings. To start, after tuning, play some chords and listen for any discrepancies. Make a note of any and where they come from. Detune the strings for removal of the tailpiece and cover plate. 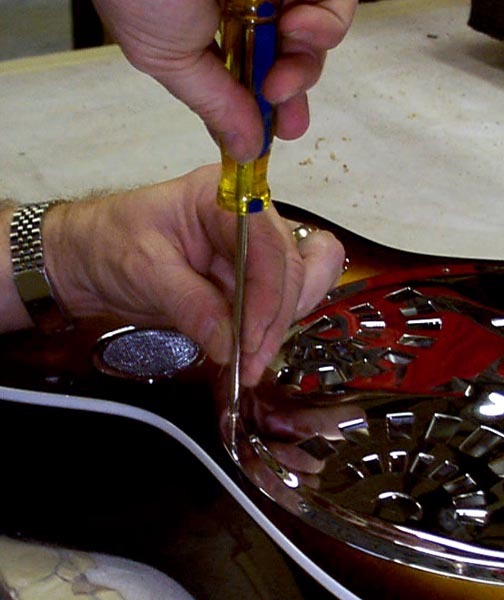 Remove the screws from the tailpiece and cover plate and keep in safe place. Inspect all parts for visible flaws. With cone or spider level and still in place, gently check for the seating of the unit by placing a finger on top of the bridge saddle and tapping around the outside of the cone with a finger on the other hand. Some points may rattle while others have a thump. The rattle signifies a point which is not touching the surface correctly. On the biscuit style cones you may rotate them a little at a time while tapping until you hear more thumps than rattles. This indicates the best location for the cone to sit. 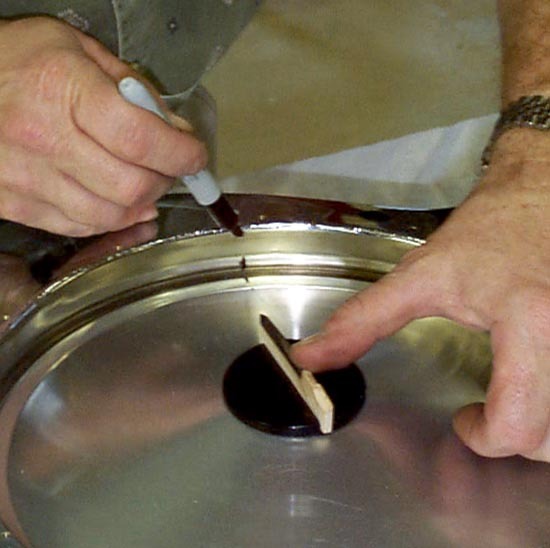 Using the felt tip pen, make alignment marks on the inside of the "well" and corresponding marks on the cone. This will match up later when reassembling. For spider style cones, repeat the above process with the fingers tapping on the outer ends of the spider listening for the same response. If it rattles in several spots, it will need some sanding on the bottom of the legs. 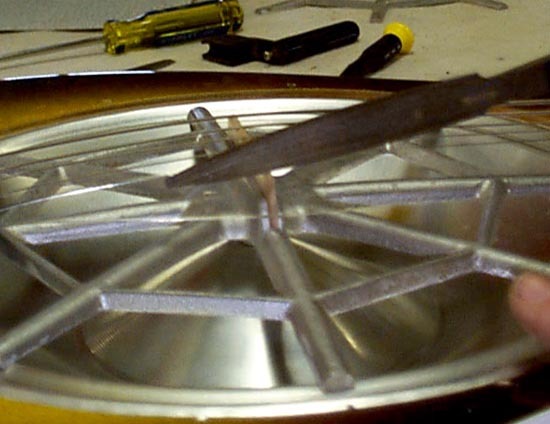 Remove the slotted screw that holds the spider to the cone and set in a safe place. Using the 100 grit sandpaper on the level surface, lay the spider on the surface with the flat side down. 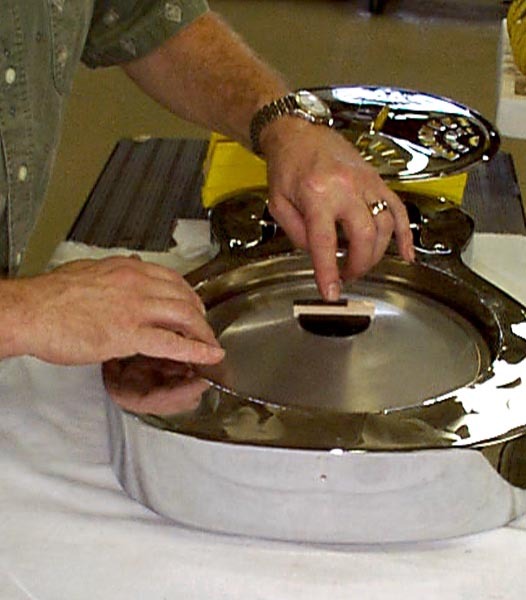 On both types, check the surface of the well lip where the cone sits for any unlevel imperfections. Correct with sandpaper or razor blade. Line up cone at marks. With cover plate off, reinstall tailpiece. 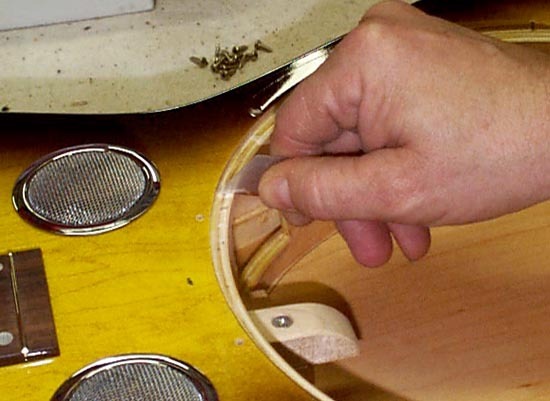 Make sure the slots on both the bridge and nut are wide enough for the strings to move freely. If not, find a jeweler's file or nut file that's a slight bit wider that the string. 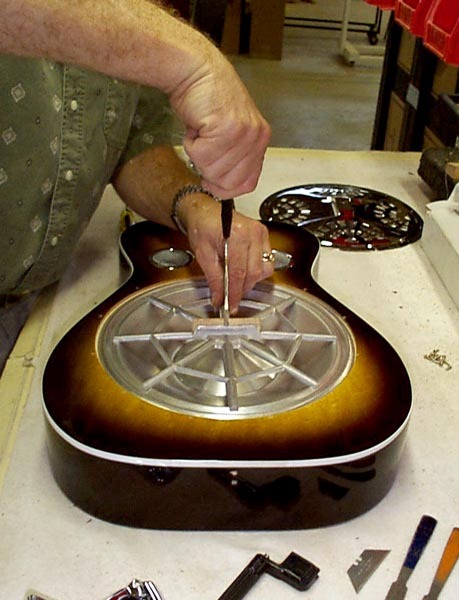 Gently enlarge the slot making sure to file downwards toward the tailpiece or the tuners on the nut. Easy does it. Check as you go for depth and width of slot. You want the string height the same. 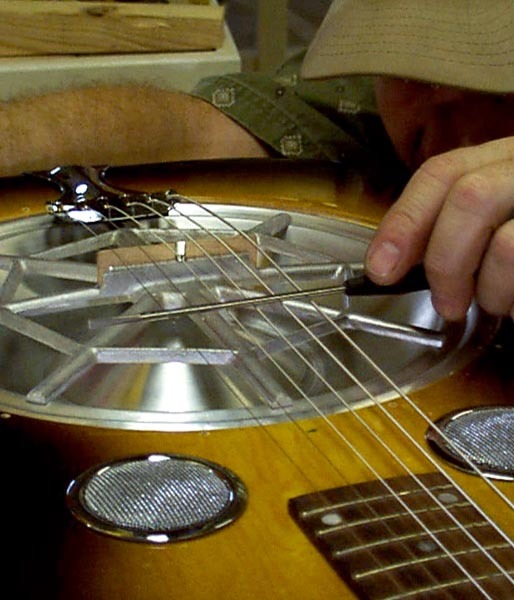 So also check as you go by laying a screwdriver across the strings. All the strings should touch the bottom of the screwdriver blade. 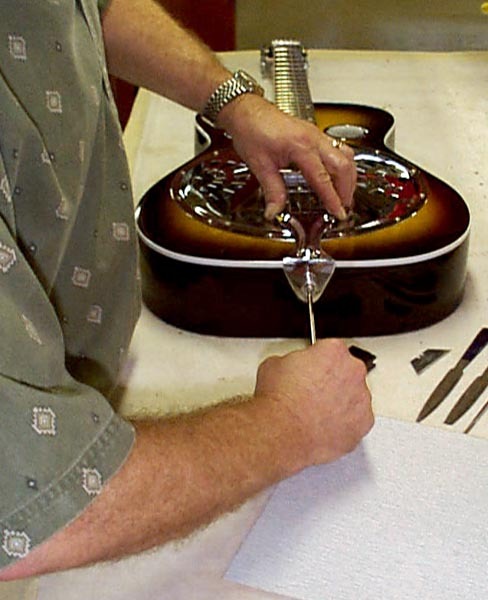 After adjusting, remove the strings and tailpiece. Line up the cover plate with the screw holes. A trick for reattaching screws: Turn screws in reverse lightly until you hear a tick. Then screw them in. 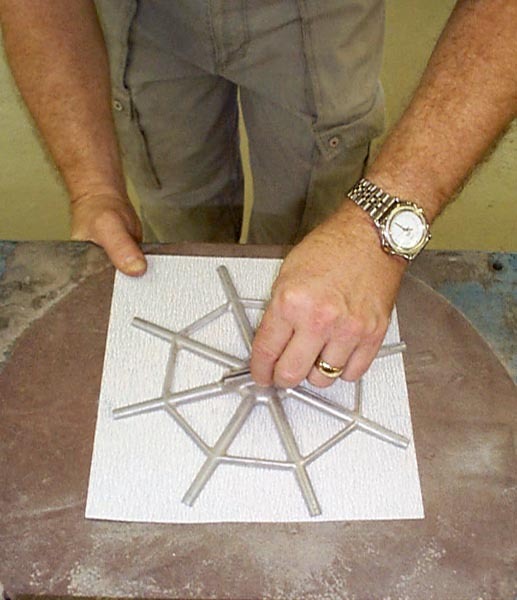 This aligns the threads on both pieces to prevent stripping threads. Reattach tailpiece and strings. Tune to pitch. Check for any problems. Repeat if needed.